At Insight Eye Clinic and Laser Sight, our Chief Refractive Surgeon Dr Graham Furness MBBS (WA) FRANZCO, likes to remain as objective as possible about each new product that becomes available on the market. Despite all approved products going through rigorous safety and quality checks (mostly performed by the FDA), sometimes years of studies and trials with many volunteers reporting on dozens of different aspects about their vision and their experiences with the new product, a lot of IOLs and surgical implants that make it to the market can soon flop. 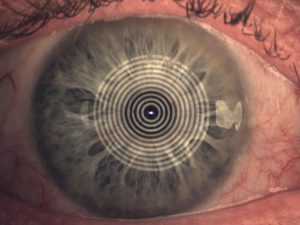 So when Dr Furness was approached with the FineVision Trifocal IOL (intraocular lens) by Bausch & Lomb, he reserved the same amount of healthy scepticism as he usually does. Upon reviewing the new FineVision Trifocal IOL in detail, reading post-op reports on hundreds of recipients and studying each detail about pre-operative measurements, Dr Furness finally decided that this lens was worthy of an in-house trial. So… ‘how do these FineVision lenses work?’ I hear you ask. Before we can answer that question, we think it’s best to explain what Presbyopia is and who will benefit from this trifocal IOL. Presbyopia literally means ‘old eye’ and is a phenomenon that affects us all, mostly in our early to mid 40’s. Age-related changes occur within the proteins in the lens inside the eye, making the lens harder and less elastic over time. Age-related changes also take place in the muscle fibres surrounding the lens. With less elasticity, the eye has a harder time focusing up close. Presbyopia affects nearly 1.7 billion people worldwide, and that number is expected to grow to 2.1 billion by the year 2020. Presbyopia makes helping patients become completely spectacle independent slightly more difficult, especially if that person has poor distance and intermediate vision as well. Thankfully, there is a worthy solution! The FineVision Trifocal IOL features a series of rings which diffract light to provide far, intermediate and near vision. The design of FineVision is different to multifocal or bifocal glasses. You don’t have to worry about moving your head to see clearly or even walking down stairs, as the lens is implanted in the eye. Many patients implanted with FineVision don’t need to wear glasses for everyday tasks such as driving, reading the car speedometer or even using their smart phone. Those undergoing lens replacement surgery for cataracts can also benefit from this trifocal IOL. *100% of Dr Graham Furness’ patients have 20/20 vision following surgery with a minimum near visual acuity of N8 (Roughly, the print size of most standard novels). How will your Doctor Find the Perfect IOL for You? Prior to having this vision changing procedure, a consultation must be held with Dr Furness where a series of tests are completed using the most up to date diagnostic equipment including the Haag-Streit LENSTAR which is the newest technology allowing hundreds of measurements to be taken both measuring the surface as well as the inside of the eye. Accurate IOL prediction is crucial for patient satisfaction in state of the art lens replacement surgery. LENSTAR provides all measurements needed to take full advantage of latest generation IOL prediction methods for improved refractive outcomes in one click. This fantastic diagnostic machine combined with the Surgeons experience makes for a winning combination. While leading technology is essential, it is the surgeon that will make the critical difference to your vision result. When you visit Insight Eye Clinic or Laser Sight, you will receive the best possible care from the staff and most importantly, Dr Graham Furness himself. Dr Furness leaves nothing to chance and therefore performs all of his own consultations and hand chooses each lens for every patient he sees to maintain our exceptionally high surgery success rate. 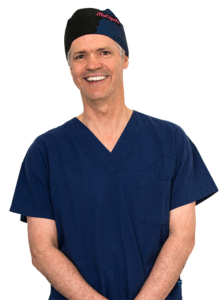 Dr Furness began his first practice, Insight Eye Clinic, in 1999 and has been performing refractive surgery since 1996. He specialises in cataract surgery, laser eye surgery, implantable contact lenses (ICL), refractive lens exchange (RLE), pterygium removal and conjunctival graft, just to name a few. It is also important that you feel comfortable and well informed upon meeting your Doctor and the staff. They are with you throughout your journey and should be able to share their unbiased knowledge and instil trust and confidence. Thank you for your enquiry and we apologise for the delay in response. Website issues have delayed the income of blog comments. If you have private health cover and are eligible for cover for your cataract procedure, there is only a small fee incurred for the consultation with Dr Furness and possibly a gap with your health provider. Some health providers cover the full cost of surgery meaning there is no gap. If you could please contact us on 08 9349 6666 for more details, we would be happy to give you an idea of likely gaps. If you do not have private health cover then you are liable to nearly the full cost of the procedure, deducting what Medicare cover.